Feb 19, 2010: On Cancer and Parkinsonism - Why Kan’t Doc Zoe Write? 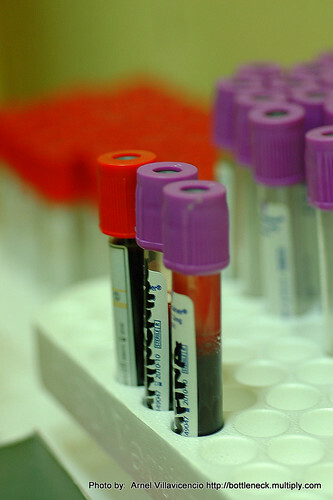 A new personalized blood test can detect recurrence of cancer. This new technique called personalized analysis of rearranged ends (Pare), was developed with blood from 6 sets of cancerous and normal tissue taken from four patients with colorectal cancer and two patients with breast cancer. They found that generally, the tumor markers fell after removal of the main tumor, but rose up again after some time suggesting that some cancer cells were left. However, with chemotherapy, the tumor markers again fell. Further research needs to be done to polish this technique. Dr. Luis Diaz, co-author of the study believes that this method could eventually detect recurrent cancers even before they can be detected in conventional diagnostic tools such as CT Scans. In a report released from the Nurses’ Health Study revealed that women taking a single aspirin tablet every other day were 71% less likely to have a deadly recurrence of breast cancer compared to those who were taking little or no aspirin. Note, however, that these women were taking aspirin mostly to help their hearts. In a similar research, ibuprofen was found to be helpful in reducing risk of having Parkinson’s Disease.Parkinson’s disease is a disorder that affects nerve cells, or neurons, in a part of the brain that controls muscle movement. However, more research needs to be done to understand how or why ibuprofen appears to have that effect.